Bob Ross Brush Beater Rack — Place this rack in the bottom of a rectangular wastebasket 15" to 20" high. After cleaning your brushes, beat them against the Beater Rack and all splashes will be contained in the wastebasket. 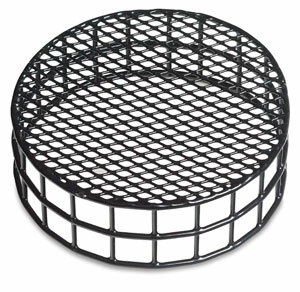 The Beater Rack is vinyl-coated to protect bristles, and its dimensions are 10¾" long × 5¼" wide × 5¾" high (27 cm × 133 cm × 15 cm). Bob Ross Brush Cleaning Screen — Place this round screen in the bottom of a coffee can or wide mouth jar and pour in Bob Ross Odorless Thinner. Scrub brushes against the mesh to remove paint. Vinyl-coated to protect bristles. 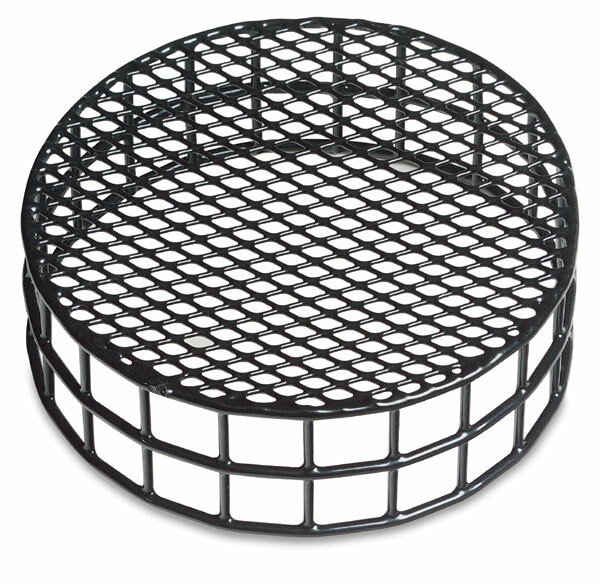 The Cleaning Screen is 4¾" (121 mm) in diameter and 1½" (38 mm) high. Bob Ross Odorless Thinner — This is a high-quality, odor-free thinner for oil paints. Bob Ross Odorless Thinner is economical because it can be continually reused in your brush bath with the Bob Ross Cleaning Screen. Comes in a half-gallon plastic container. Bob Ross Complete Brush Cleaning System — This system includes the cleaning screen, the beater rack, and odorless thinner, which all come pre-packaged in a shrink-wrapped container.